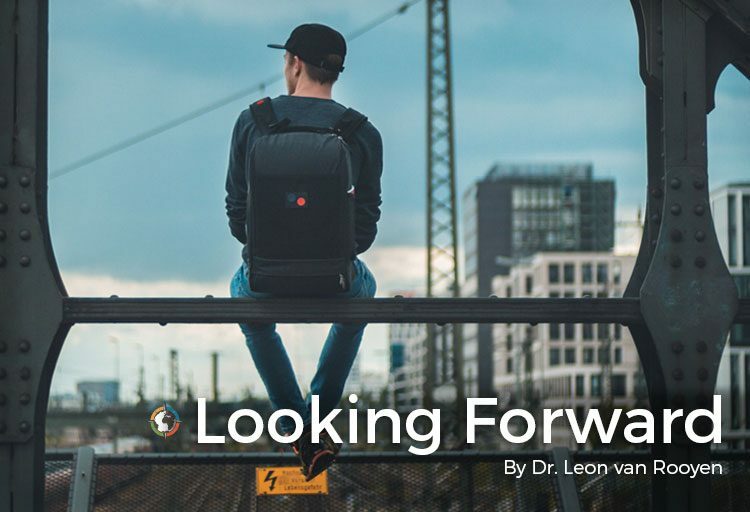 In my last Blog, Looking Back, I shared how we can look back as we recall what the Lord has done for us in the past. Through looking back at these “Memorial Stones” we are reminded of the marvelous works that He has done, and this encourages us that He can do it again. In this Blog, I am going to address Looking Forward. When I was young; that’s quite a long time ago…let me restart. Once upon a time, in a land called far, far, away, lived a young boy. He was so happy because in a few days it was going to be Christmas. Santa Claus would be generous, and leave treasured gifts. The young boy and his family would also enjoy a splendid lunch. After a bountiful meal, he would play with his new toys. Then it snowed, and they lived happily ever after! Do you remember when you looked forward with expectation to an important event? Do you remember when you would count the sleeps? With the same kind of anticipation and expectation, we should look forward to the return of Christ. Through the knowledge of the Scriptures, we are assured that the Lord will renew the earth and we, the redeemed, will abide in this perfect state. The Lord is not slack concerning this event, and patient as He waits for the harvest of souls. Now, this blows my mind! I can readily grasp that we can look forward to the coming of the Lord, but how can we hasten the return of the Lord? To hasten means to hurry it along. So again, how can we hasten or hurry the day of God? Does this imply that through our efforts, we can actually influence the timing of this glorious event? When I read this verse, it is apparently clear that before the Lord returns, the Gospel must be preached to the whole world. We can therefore conclude that the way we hasten the return of the Lord is to preach the Gospel to all the world. Our lives are either holding back or hastening the day of God. It stands to reason that if we can hasten (through our efforts) this day, then we can also potentially delay (through our lack of involvement) the timing of this event. If this interpretation of this text is true, then every Christian should be passionately pursuing His return. We see that the Lord is not slack, and He will keep His promise, He is coming again! But before this takes place, we have a work to do. If we are looking forward to the return of the Lord, then we should also be busy about our Father’s business. God’s priority is for us to make known the Gospel. With a sense of urgency, we are to be found in the work of the harvest, and that my dear friend means that we should be passionately committed to reaching the lost, and discipling those who have called on the Name of the Lord. 1. Sharing the Gospel with passion. 2. Praying for missionaries and evangelists who are busy in frontline evangelism. 3. Praying for a revival in our churches; as believers be full of zeal and powerful in the Spirit. 4. Pray for those who once served God but since been lured away that they return to Father’s house. Sadly, thousands of our Christian family are backslidden and no longer attend church or seek the things of God. 5. Generously and sacrificially contribute finances to the preaching of the Gospel. 6. Get involved in your church and help build it to be strong and vital; make Jesus known in your community. 7. Specifically, for Pastors who are reading this Blog, be focused by equipping the saints for the work of ministry. Don’t be satisfied until 100% of the people entrusted to your care be set ablaze with fire and trained for the work of God. Ask God to give you an opportunity today or in the next few days to share the Gospel with a family member, a friend or even a stranger. In Psalm 2: 8 we can ask for nations. That’s huge! We can ask for nations! Now let’s make this spiritual goal reachable, and ask God for an opportunity to reach just one precious soul. I believe that if we are sensitive to the leading of the Holy Spirit that He will give us an opening. Will you do this? I urge you to make this a spiritual goal. Lord of the Harvest, here am I, send me! I ask for an open door to share the good news. Let’s not only be looking forward to the return of the Lord but also be engaged in hastening that day. Even so, come Lord Jesus!